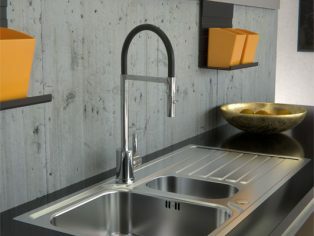 Connekt Flushfit from Abode – an ultra slim flush fit or inset sink with its ultra-thin edge detailing, delivers a sleek contemporary look to any chosen worktop. The sink can be fitted perfectly flush at the same surface level as the worktop by insetting or alternatively fitted conventionally as an inset with stylish low-profile edges. Sinks come complete with the unique Abode Orbit waste and all plumbing pipework, as standard, plus a pre-fitted seal strip around the underside edge. 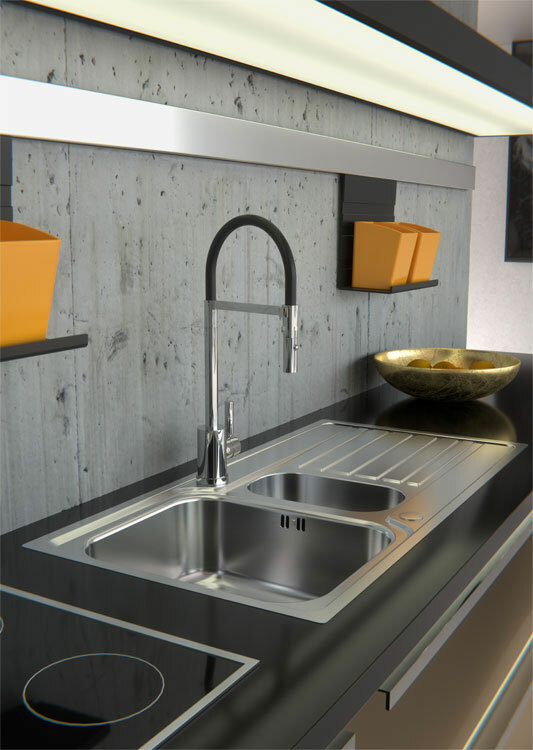 Complemented with the Atlas Professional tap makes a very stylish finish to any kitchen.